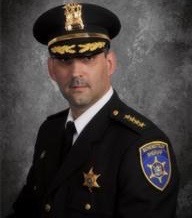 Sheriff Dagostino was elected Schenectady County Sheriff in November 2009. He has over twenty years experience in law enforcement. Prior to his election, he was a member of the Rotterdam Police Department. During his tenure with the Rotterdam Police Department he served in every facet of the department: patrol officer, investigator, patrol sergeant and lieutenant. At the time of his retirement from the Rotterdam Police Department he was the Detective Division Commanding Officer. Sheriff Dagostino graduated from the State University of New York at Albany with a B.A. in Sociology and a minor in Criminal Justice Studies. Sheriff Dagostino has received extensive law enforcement training throughout his career. He is a graduate of the Zone 5 Regional Law Enforcement Training Academy and has taken and attended numerous in-service training courses and seminars. Sheriff Dominic Dagostino is a lifelong resident of Schenectady County.